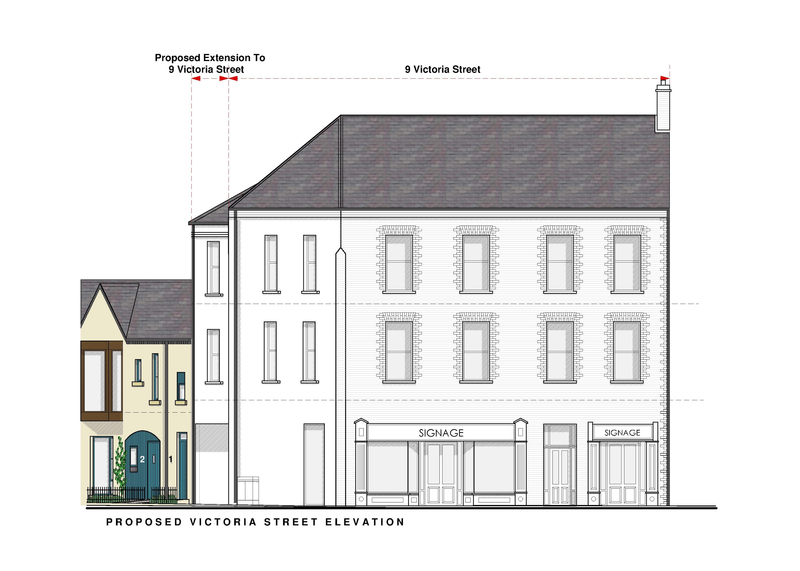 The Property Agent is proud to announce this exciting new planned development for Ballymoney town centre. The new development proposal comprises of 14 apartments and 2 commercial units. Development plans consist of both a conversion and a new build. 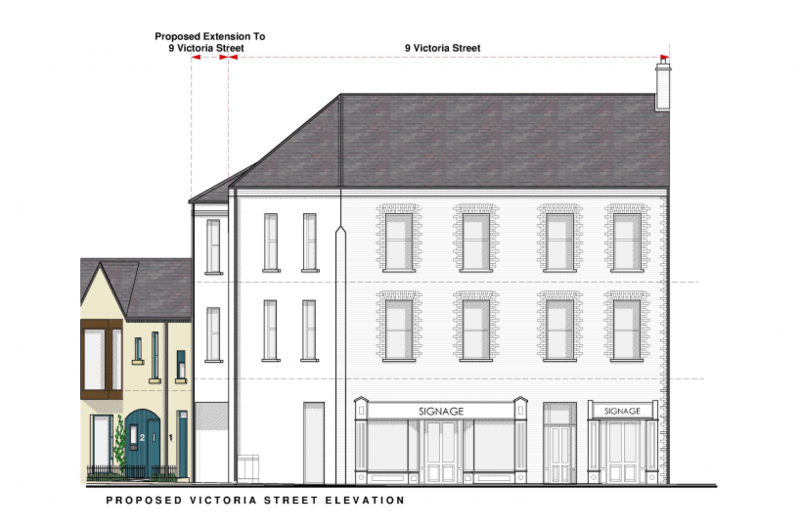 The conversion is of an existing 3-story building on Victoria street to 2 commercial units and 4 apartments. The new build consists of a 2-story development on John Street and Church lane for 10 apartments, with private gated courtyard parking. ‘Studio Rogers Architects’ design of the development demonstrates a superior level of timeless architecture that reflects town living, while maintaining an authentic community feel. The open-concept modern design of each apartment boasts spacious modern living, making them the perfect urban retreat, with a great town lifestyle on the doorstep.